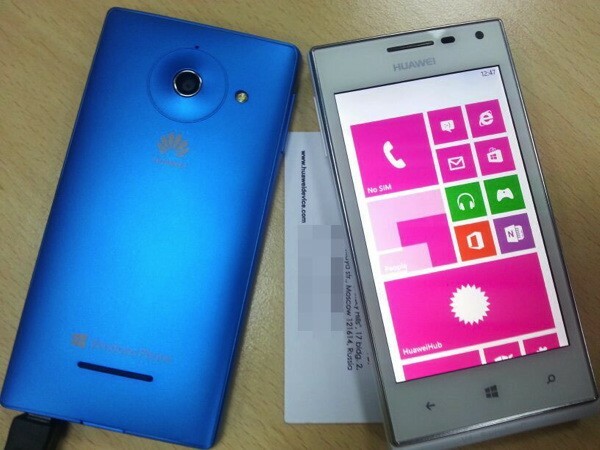 With theNokia Lumia 920andHTC 8Xboth coming to the market at competitive prices to the usual flagship smartphones, Huawei may be set to steal the show with a very low cost Windows 8 phone. According to Greek websiteTechblog, the Chinese manufactured smartphone could be coming to markets with a $200 price tag and that could be even lower. Whether this is to combat the Chinese phone market not subsidizing or just to promote Huawei in different markets, we are unsure, but it does seem like a move Huawei may have up its sleeve. The Ascend W1 has been reported to have a 1.2 dual-core processor, 4-inch display, 5MP camera, NFC, 2000mAh battery and Windows 8 phone operating system. While this does not beat the Lumia 920 or HTC 8X specs, for the price it does not have to. A YouTube video all but confirmed the existence of the phone, but the host quickly removed it. We believe there may have been some terms hashed out quickly between the Greek blog and Huawei lawyers, to get the evidence hidden again. While Nokia and HTC took to the floor quickly to sell their products, Huawei and Samsung have held back and we are still awaiting the launches. Huawei are likely to show off the new phone at CES 2013 or MWC 2013. Unless they host their own event sometime soon. We believe this will be one of three smartphones Huawei are bringing out, with the Ascend W2 and W3 coming out at similar or the same times. We are unsure if these two devices will be mid-range, for users that are not ready to splash a lot of cash on a Windows 8 phone. Nokia have reported a huge amount of pre-order sales on their Lumia 920 device, but HTC have not had such luck with their handset. We wonder how Huawei’s range will fair when it is revealed to the world.